Rave The New York Times Book Review This is a story of many perspectives, which might feel a little overloaded for some readers, but I thought they all fit perfectly, and offer a comment as well on the fragmented existences we live online ... The book feels like an extended episode of Black Mirror, and certainly has that show’s taste for dark humor and high-concept philosophizing around our tech addiction, though what raises it above another clever-clever slab of science fiction is that its characters are complex and contradictory and real. For better or worse, you care about them. The mirror may be dark in places, but it shines with a more human light. It’s an entertaining read that draws more inventiveness from character development than it does from the fictional technology ... The irony for a book that could be seen to mock self-help culture is that it is, in itself, the kind of story that—in the subtlest of ways—can instruct us, and nourish us, and make us want to live and love a little better. Rave The Guardian ...like the best of young adult fiction, the book has a deep understanding of what it means to be a teenager ... This is by no means a perfect novel. The mystery and love story and mental health aspects often feel compartmentalised and it is 50 pages too long. Aza can be a repetitive narrator: this may be appropriate for someone who suffers repetitive thoughts, but can make the reading experience frustrating. Some of the recurring mental illness metaphors couldn’t have been hammered harder by Thor himself; it feels as though the illness-as-spiral idea occurs at least once a chapter, and there are more stargazy sentimental Big Moments than at a Coldplay concert. But all this is overridden by the fact that where the author is good, he is very, very good. 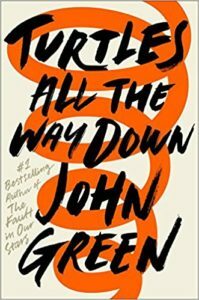 In short, this novel confirms John Green as a great chronicler of teenage life. He captures the insecurities of youth in the way Judy Blume used to, and he ranks alongside such American masters of teen conversation as SE Hinton and John Hughes ... It will pluck the strings of those in tune with it. It will resonate with, and comfort, anxious young minds everywhere. It might just be a new modern classic. Rave The Guardian The solution, according to this book, is not to abandon masculinity altogether, but to shift it a little. He points to a new model of manhood, a more tender model, embodied by Barack Obama and David Beckham. 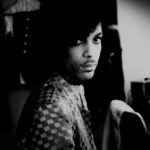 He calls out to his fellow men, suggesting we need to learn that embarrassment is not fatal, that change is possible ... 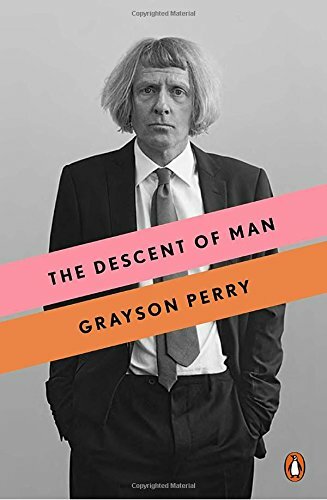 The book is written clearly and accessibly, and is so natural you can almost hear the sound of Grayson Perry’s voice in your head as you read. If there is a criticism, it’s that there is a slight contradiction about a man very much in the public eye calling for men to shy away from public life ... These criticisms are, however, only slight. At a time when an old-school man like Nigel Farage can defend Trump’s sleaze talk as 'alpha-male boasting,' and when Trump contextualises his 'banter' by resorting to the mythology of the male space of the locker room, clear and accessible discussions of masculinity are long overdue. This book, with its non-macho slender girth and personal, engaging approach, is a breeze of a read, and one that makes you see our male-manufactured world a little differently. And you can’t really ask for more than that.